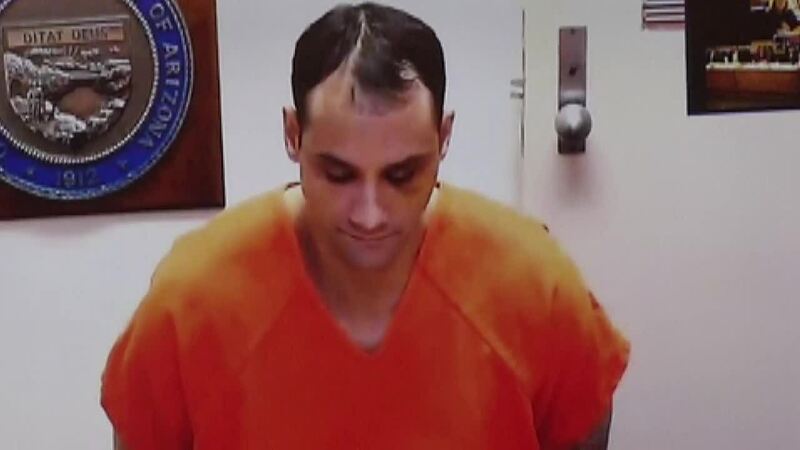 In his first court appearance since being indicted on the murders of Isabel Celis and Maribel Gonzales, Christopher Clements, 36, is pleading not guilty to all the charges against him. Becky and Sergio Celis headed to court to see the man charged with kidnapping and killing their 6-year-old daughter Isabel. She disappeared from her home near Broadway and Craycroft six years ago. Valerie Colange soon followed. Her daughter, 13-year-old Maribel Gonzales, disappeared in 2014. Her body was found three days later near where investigators would find the remains of Isabel Celis in 2017. Colange spoke briefly after the hearing. She said seeing Clements was, "hard, very hard. But it's just something you've got to do." Clements appeared by video link from the Pima County Jail. That's standard for a quick early-stage hearing like an arraignment designed to let a defendant formally hear the charges he faces. Clements has a black eye that clearly shows in the video. He reportedly got in a fight in the Maricopa County Jail, where he's facing other charges. Search warrant documents say Clements offered information on the location of Isabel Celis remains if Pima County would drop some burglary charges against him but he did not admit to killing her. He led them to a spot in Avra Valley near where the body of Maribel Gonzalez was found. At a house where Clements lived investigators found a child's school work with Isabel Celis' middle name, and a purple sweatshirt --her favorite color. Police say DNA traces link Clements to Maribel Gonzalez.